Following the successful completion of the campus master plan, Tenison Woods continued their established relationship with Walter Brooke and commenced construction of a new resource centre plus substantial redevelopment of existing classroom buildings. 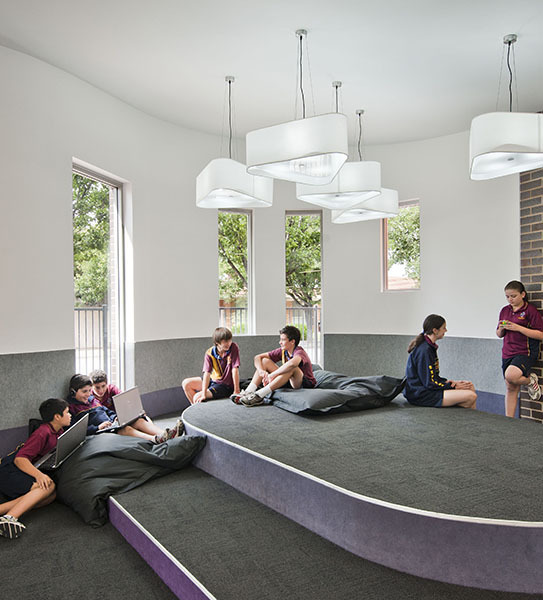 The school wanted its physical redevelopment to reflect and support a shift in pedagogy, requesting open, multi-purpose spaces that enable a variety of group and individual activities and encourage student interaction across year levels. The brief also expressed a strong preference for dynamic and inviting organic forms that contrast with the rectilinear existing buildings. Walter Brooke’s scheme inserted a curved form linking old and new teaching spaces to maximise the useable footprint within a constrained budget. 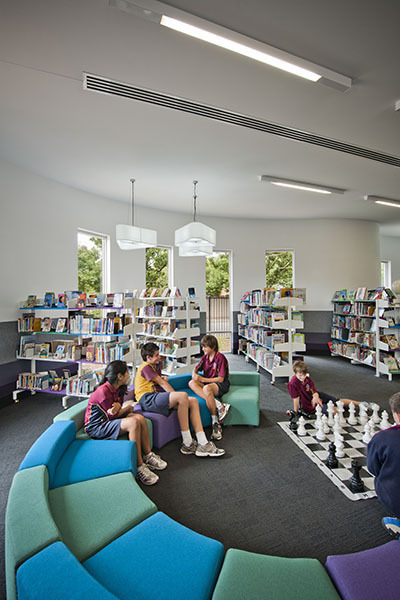 The resource centre anchors two learning blocks, forming a visual statement from outside and inside the school. 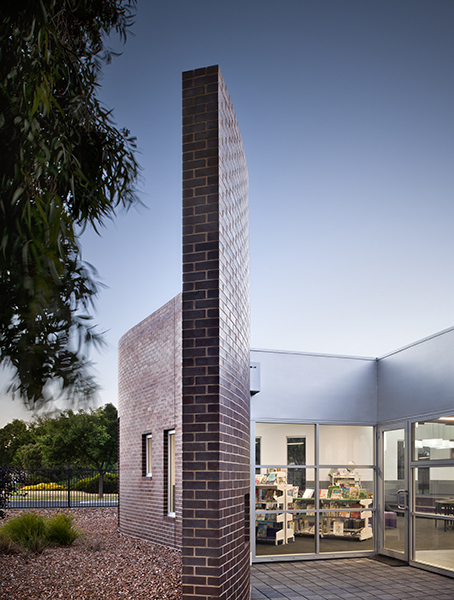 The ribbon-like external wall creates a strong delineation between existing and new, its monolithic brickwork punctuated with slender windows to provide snippets of the outside world and framing the landscape and frog pond beyond, while the renovated learning spaces open to each other and to the outside for flexible, diverse educational opportunities. Walter Brooke & Associates Pty. Ltd.